We have begun our 2018 Fall Session. If you are interested in our next offering, please fill out the form and we will be in touch with you! Individual Modules: We are opening up four spaces in each of the individual modules for continuing study. If you are interested, please see the descriptions and schedule below. Reserve your space early, as space is extremely limited. This yoga teacher training is unique in that it will focus on the psychological roots of yogic thought and practice, even as you learn how to teach postures and public classes for a general audience. We will break down some of the gorgeous symbol systems and complex philosophy in a way that helps you to both integrate into your own practice as well as teach to your classes. Finally, we will do a deep exploration of how yoga fits into a modern self-care or healthcare context, drawing on the knowledge and experience of experts in the field. 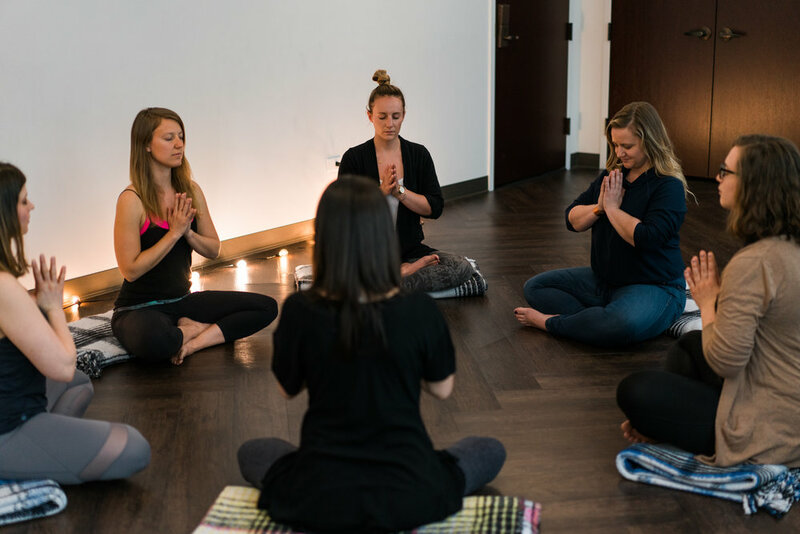 We founded Room to Breathe to meet a need present in both the yoga world and the US healthcare system: a clinically supported public yoga studio with programming that is compassionate, clinically supported, evidenced based, and accessible to all. We want to share some of what we’ve learned along the way with you. Whether you’d like to become fully certified as a yoga teacher or just continue your practice or training, we have a curriculum that suits your needs. Please email serena@roomtobreathechicago.com with questions. This training has been prepared so that it can appeal to a range of practitioners, from those wishing to be certified yoga teachers or continue their yoga teacher education to those looking to deepen their practice. All modules are available as continuing education to yoga teachers already certified and we can provide certificates of this additional training. REGISTER FOR MODULE ONE NOW. REGISTER FOR MODULE TWO NOW. REGISTER FOR MODULE 3 NOW. REGISTER FOR MODULE 4 NOW. Invitation to panel on Modern Yoga Teaching (Top yoga teachers talk about their career: how it works financially, emotionally, and career prospects.) Time TBD, will be recorded. REGISTER FOR MODULE 5 NOW. Review of resume from healthcare perspective. Invitation to panel on Working with Healthcare Providers (Providers in a variety of fields talk about the US Healthcare system, its needs and blind spots, and their interaction with yoga teachers and what they are looking for when coordinating care.) Time TBD, will be recorded. REGISTER FOR MODULE 6 NOW. REGISTER FOR MODULE 7 NOW. Contact serena@roomtobreathechicago.com to register for this session. All modules and additional trainings. Everything included each of the above modules. Monthly 1x1 mentoring with Serena regarding questions, home practice, practice teaching, and so forth. Community support from teachers and therapists at Room to Breathe. Includes ongoing continuing education, panel discussions on career tracks and modern healthcare, and practice teaching/learning every Wednesday from 5:30-7:30p. Unlimited classes at Room to Breathe during training (must sign up 2 hours in advance). Priority registration in all modules and trainings. Application stating intention and letting us know who you are. Sincere desire to learn, practice, and respect the traditions of yoga. Weekly cohort meetings on Wednesday evenings from 5:30-7:30p at Room to Breathe from October 2018 - May 2019. Weekly practice at Room to Breathe (included in cost of training) or studio of your choice. Daily personal practice of at least 10 minutes. Final thesis project, teaching, and presentation. 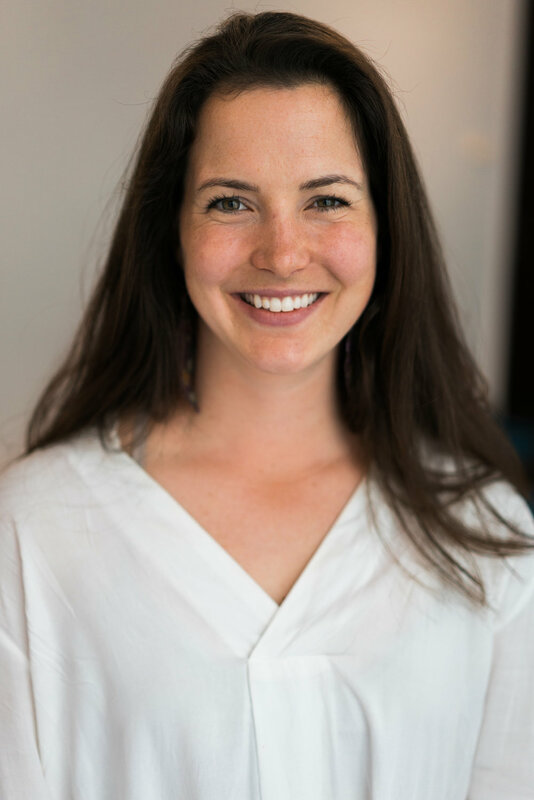 Serena Roschman (lead trainer): I have studied yoga and several traditions of meditation for over a thousand hours with some of the most renowned teachers throughout the world. My teaching is primarily informed by my studies with Gary Kraftsow, Leslie Kaminoff, and Pema Chodron. I consider myself a lifelong student of yoga and continue to train extensively to keep my classes intelligent, fresh, and inspired. I have completed rigorous advanced teacher training in Viniyoga with Gary Kraftsow. I have taught yoga in studios, boardrooms, retreat centers, and one on one settings. 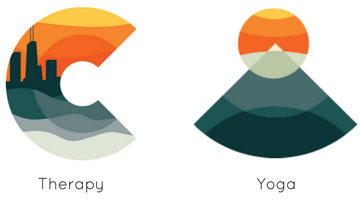 In 2015 I co-founded Room to Breathe, a public yoga studio within Center (psychotherapy). I work with therapists and other healthcare providers to ensure that programming is compassionate, clinically supported, evidenced based, and accessible to all. In addition, I am now a graduate student at Northwestern University studying how yoga can be integrated into the US Healthcare system. Natalie McGreal I am a teacher who specializes in trauma informed yoga, yoga for addiction recovery, and restorative applications of yoga. I have logged thousands of hours as a teacher and even more as a forever student of yoga. I currently teach full time, and maintain a regular schedule of group classes and long standing private sessions. Along with receiving my advanced 500 hour certification, I was trained in clinical massage therapy at The Soma Institute in Chicago in 2007 and in the art of Thai massage at The Sunshine School in Chiang Mai, Thailand in 2011. Sara Buxton Sara is the owner of Room to Breathe and Director of Center. She is a Licensed Professional Counselor and Sport Psychology Consultant. She works with adolescents and adults, athletes AND non-athletes. She specializes in solution focused work to help individuals overcome obstacles, gain personal strength and clear vision of their goals and plans for attaining them. She believes in the healing power of connection between mind and body. Her work involves cognitive behavioral therapy techniques, mind-body work, acceptance and commitment therapy as well as many other solution-focused skills. Sara is recently certified in Yoga-Informed Therapy, and is currently training to become a certified Yoga Teacher. She is a graduate of Adler University, where she earned her Masters in Counseling with a Specialization in Sport and Health Psychology. She is a 2010 graduate of University of Vermont, where she played four years of lacrosse. She pursued the field of Sport and Health Psychology driven by her experience as an athlete, working through injury, developing leadership skills, and forming great compassion in creating a space for athletes to meet their full potential mentally, physically and emotionally. Amber Cook Amber is a yoga teacher who creates a safe environment for students to discover their bodies physically and emotionally. To begin, Amber guides students mindfully through intelligent physical alignment and breath awareness in strong vinyasa and hatha classes. By cultivating this exploration in the classroom her students discover deeper vitality and happiness. By sharing her own evolving story, Amber next guides her students to honor their personal authenticity and to feel more present, free, and confident. Then, grounded in your body and breath you are free to travel beyond the physical into your profound truth. Amber is there to support you on your journey to the truth and joy that lie within your heart. Having taught yoga now for 7 years she still feels she is learning all the time. With over 2,000 hours of trainings with many amazing teachers, leading 200 hour teacher trainings herself, and facilitating numerous retreats around the world she believes it is important to always be a student. She walks into every classroom, every conversation, every experience with humility. Stephanie Bour I'm Stephanie, a French-native, Chicago-based yoga teacher. Yoga found me 10 years ago when I was working in the corporate world in Paris, my home-town. The practice of Vinyasa and Integral yoga in the lineage of Satyananda Saraswati, helped me to offset stress, find balance in my daily life, and connect to my deep intuitions. Deeply moved by the practice, I felt the need to share the incredible benefits I've received. I truly believe Yoga and Meditation are powerful tools for healing transformation and sparking the creativity we all have in us. With over 500 hours of training, including 200-hours certified by Moksha Yoga Chicago, and 95-hours certified Prenatal Yoga teacher by Amala School of Prenatal Yoga, both certified by the Yoga Alliance, I keep my passion and curiosity drive with inspiring teachers such as Tias Little, Uma Dinsmore-Tuli, Mia Park, Gabriel Halpern, Leeann Carey and many more. I also have completed additional training in Restorative Yoga and Yoga Nidra, a powerful ancient Tantric technique of guided, progressive relaxation. 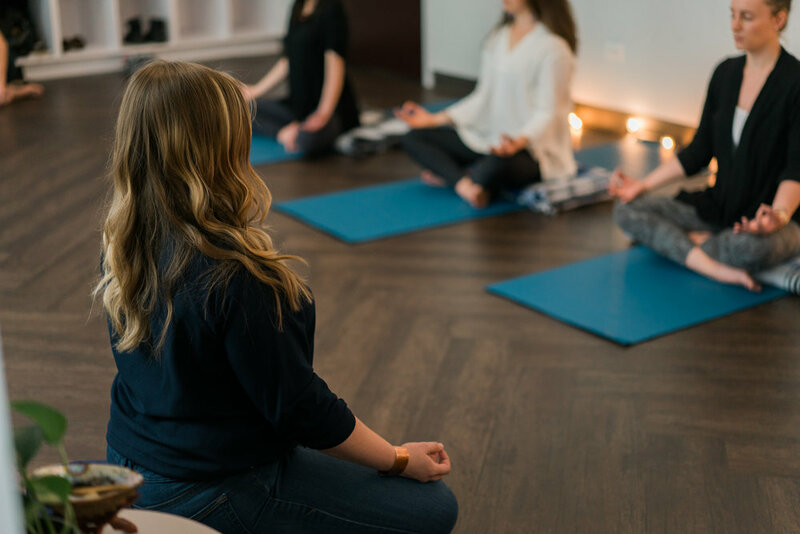 As a teacher, I strive to establish a safe, nurturing and loving space to support my students on their own journey to awareness, empowering them to feel good in their body and mind, and find their inspiration to grow.